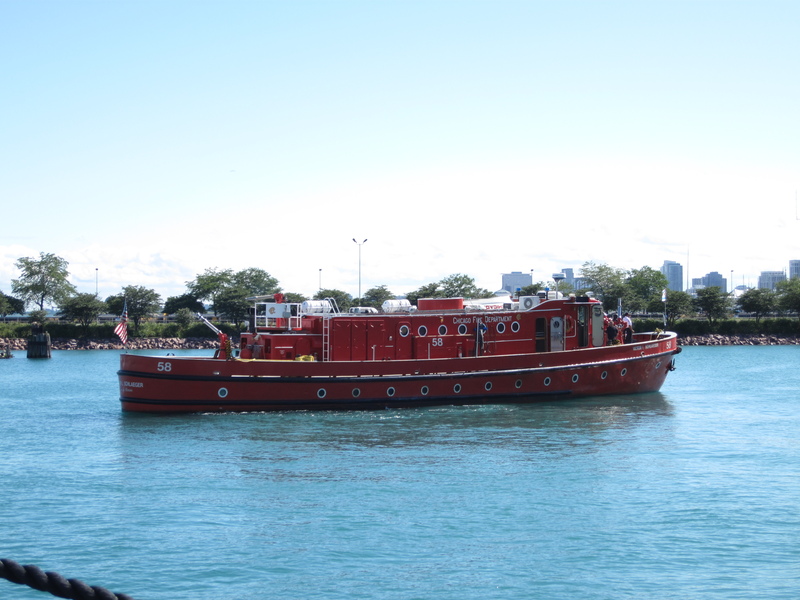 The Victor L. Schlaeger is the City of Chicago’s only current Fireboat. The 92 foot vessel is made completely of steel and was built in 1949 and has been around for nearly 60 years. The Fireboat is capable of pumping over 14,000 gallons per minute of water, and in the winter, breaking ice 8 to 12 inches thick. It is docked between Navy Pier and the Water Treatment Plant and is manned by a live aboard crew 24 hours a day. You can see the Fireboat in action during the Air & Water show each year at North Avenue Beach. The city of Chicago is currently in the process of building a new Fireboat to replace the Victor L. Schlaeger sometime in 2011. For more information on the Victor L. Schlaeger or to find out information on how to tour the boat, click here. This entry was posted in Beach, Chicago, North Beach. Bookmark the permalink.